International Needs Uganda was founded on providing education for vulnerable and orphaned children. At its inception in 1994, their focus was supporting children orphaned by HIV/ Aids. 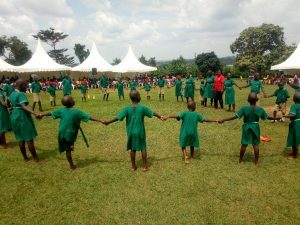 International Needs Uganda now run three schools and provide child sponsorship for over 3,000 children but few children with disabilities attended. We are using the medium of sport as an effective way to raise awareness and starting to change attitudes. Where we work in rural Uganda there are many misconceptions about disability and many people with disabilities face discrimination, stigmatisation and even abuse. Many families who have a disabled child born to them often believe they have been cursed. Due to these local perceptions and a lack of government provision, very few children with disabilities go to school. In 2017 we partnered with with UNESCO Chair and BFSS to deliver a pilot Disability Inclusion Programme in Buikwe. Following its success, the programme has been extended. Since 2017, when this work began, we have seen great change in the inclusion, involvement and progress of children with disabilities in the schools we work with. Between 2017 and 2018, we saw a 13% increase in the enrollment of children with disabilities into mainstream schools. These are children who were not going to school otherwise. In september 2018 we hosted the second inclusive sports festival attended by over 800 kids. 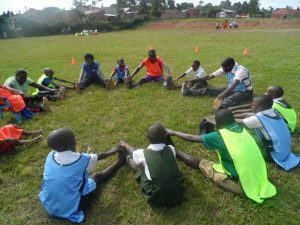 Each of the 24 schools in the programme prepared sports activities and performances to share giving an opportunity for children with disabilities to showcase their talent. With parents and community members attending to watch the festival, this was also promoting the value of including and empowering children with disabilities. Through the programme our goal is to equip teachers and schools to provide better for children with disabilities in 24 schools around Buikwe. We are also promoting the importance of inclusion using inclusive sports activities and a sports festival. Sport is as an effective way to raise awareness and start to challenge discriminatory perceptions of disability. Sport can also be a great way to grow confidence, character and team building. We want to help all children with disabilities currently attending these 24 schools to be able to access the empowerment benefits of sports and to encourage families of children with disabilities to be enroll them into school. In September 2018 we hosted a three-day training course to equip teachers with a better understanding of disability and how to empower children with disabilities in their schools. 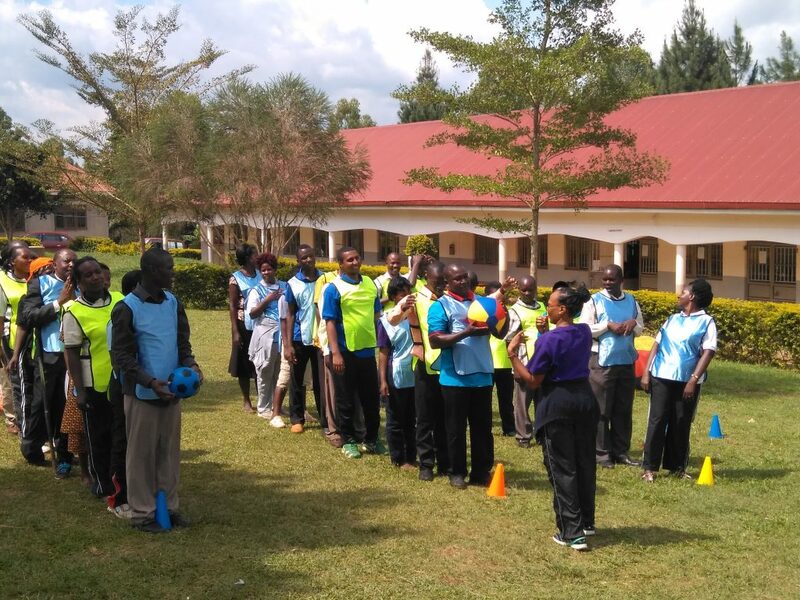 The training particularly focused on inclusive sports, recognising sport as a tool for change and team building. Supporting schools to make their premises physically accessible with ramps, rails and improving toilets. Running community advocacy initiatives to challenge perceptions of disability and promote the values of inclusion. Working with 45 families of children with disabilities, to help them increase their household income through farming, so they can better support ALL their children. A key outcome that we aim to achieve with is programme is societal change. We want to see the negative attitudes and behaviors towards children with disabilities reversed and for local communities to become inclusive. We want to see children with disabilities valued and the stigma attached to disability eradicated to ensure all can live fruitful lives. In 2019 we need to raise £50,000 to run this programme. Can you help us? 90% of children with disabilities in developing countries do not attend school (Global Partnership for Education). 13% of children in Uganda are living with some form of disability, (approximately 2.5 million children) (UNICEF, 2014). Only 15% of children with disabilities in Uganda access an education (The State of Access to education by women and girls with disabilities: 2014, Guzu Beatrice, NCD). Between 2017 and 2018 we saw a 13% increase in the enrollment of children with disabilities into mainstream school. What a wonderful week we have had!! 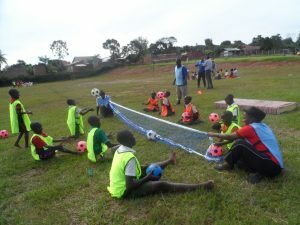 Since the beginning of this year, we have been working in partnership with BFSS and UNESCO Chair to develop and run an inclusive sports training programme in Uganda.